On November 11, 1940, 21 slow, canvas-covered British warplanes, launched from the carrier Illustrious, attacked the harbor at the Italian port of Taranto and put most of the Italian navy out of commission. 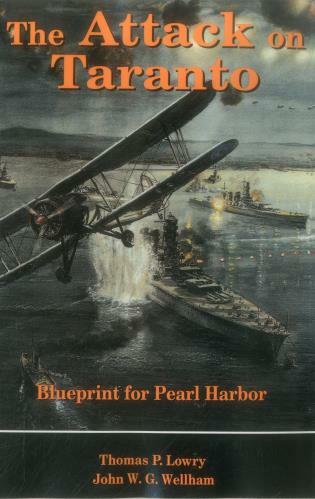 This all-but-forgotten operation, the authors argue, deserves historical recognition as an inspirational precedent for the Japanese raid on Pearl Harbor 13 months later. Taranto demonstrated that battleships in a shallow, heavily defended harbor could be sunk by a handful of torpedo-bombers. That lesson Adm. Isoroku Yamamoto, commander-in-chief of the Japanese fleet, learned well-while the American military virtually ignored it.